Whenever you start to feel discouraged or saddened - and we all feel that way from time to time - look to The Salvation Army. Even in the toughest times, you can still find the good. You can find the good in the joy of a child in need opening a gift at Christmas. 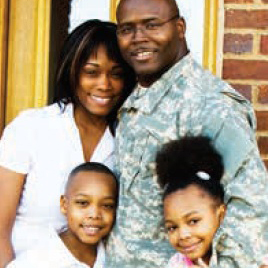 In the gratitude of a veteran who has a safe place to sleep and a hot meal to eat. In the relief of a struggling family who has the money to keep the electricity on and put food on the table. 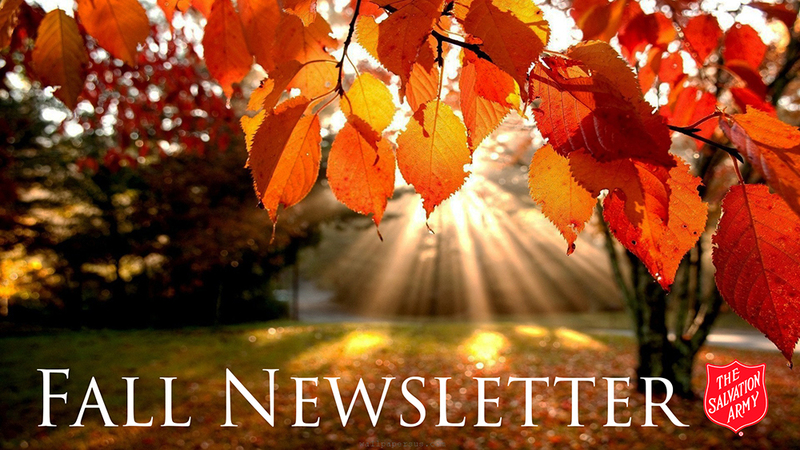 This newsletter is where you can look to find the good. It is full of stories about people who needed a hand up - and got it, thanks to friends like you. Wayne Worden is a retired Vietnam Veteran with a penchant for helping others. Two years ago, he began collecting and storing furniture and other household goods. He would then invite homeless families to pick out items- free of charge- when they were ready to move into permanent housing. Today, with your same spirit of generosity, Wayne has partnered with The Salvation Army’s Booth Center in Grass Valley. This is an emergency shelter that helps prevent families from returning to homelessness. From counseling and tutoring, to budgeting classes and help with job searches, we are able to provide the tools these families need to break the cycle of poverty and find stability. “This is a place where they can start a routine and a structured existence, so they can move forward and succeed in permanent housing.” Says Sarah Eastberg, a Salvation Army social services director. You are probably aware that many children rely on free breakfast and lunch programs during the school year, but still need help during the summertime when schools are closed. You may not realize that many college students are facing the very same challenge. During the regular semesters, they can get help with food through their schools, but in the summer months they are on their own and many are struggling. We are expanding this area of ministry in the summer to meet this need, and to keep our food pantries stocked all year long. And later, when Christmas rolls around, The Salvation Army will have a presence on campuses to help students who have young children and need extra help during the holidays. You can help us create more stories of hope, and of people receiving essential help when they need it most. Make a secure online gift now that will help our neighbors throughout the coming holiday season. Things began to take a turn for the worse when Donna, a single mother of three, suddenly found herself unemployed. The company where she had worked for years unexpectedly closed up shop, and in an instant, Donna lost the means to support her family. Scrambling to find work, Donna took a part-time job which allowed the family to remain in their apartment. But her paycheck was still not enough to cover food, utilities, or school supplies for her children. The Salvation Army was able to provide Donna and her family with nutritious food and financial assistance to keep their utilities running. And her kids were excited to receive a backpack full of school supplies to help them thrive in the upcoming school year. After a few weeks, Donna stopped by to again express her gratitude, and to let us know that she had found a new, full-time job. She was also proud to inform us that all three of her children had won student recognition awards at school! “Thanks to The Salvation Army, our family is back on track,” she says. Maci watched nervously as children of all ages poured into the building, eager for the start of Vacation Bible School (VBS). Shy and quiet, Maci was a bit overwhelmed at first. 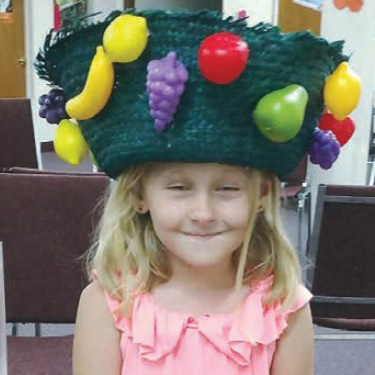 This was her first time attending VBS, and she was unsure of what to expect- or if she would fit in. This year’s VBS theme was “Fruit of the Spirit,” and featured lessons and activities that focused on things like love, joy, and peace. Maci seemed to take each of these to heart. By midweek, she was no longer keeping to herself, but instead joyfully volunteering to help any way she could. And by the end of VBS, she was confidently demonstrating the Fruit of the Spirit in every way. VBS is one of the many life-changing youth programs offered by The Salvation Army. We are able to provide children with a safe place to learn, play, and grow in character and confidence. Recently, we received a letter from a middle-school student in Tiburon. 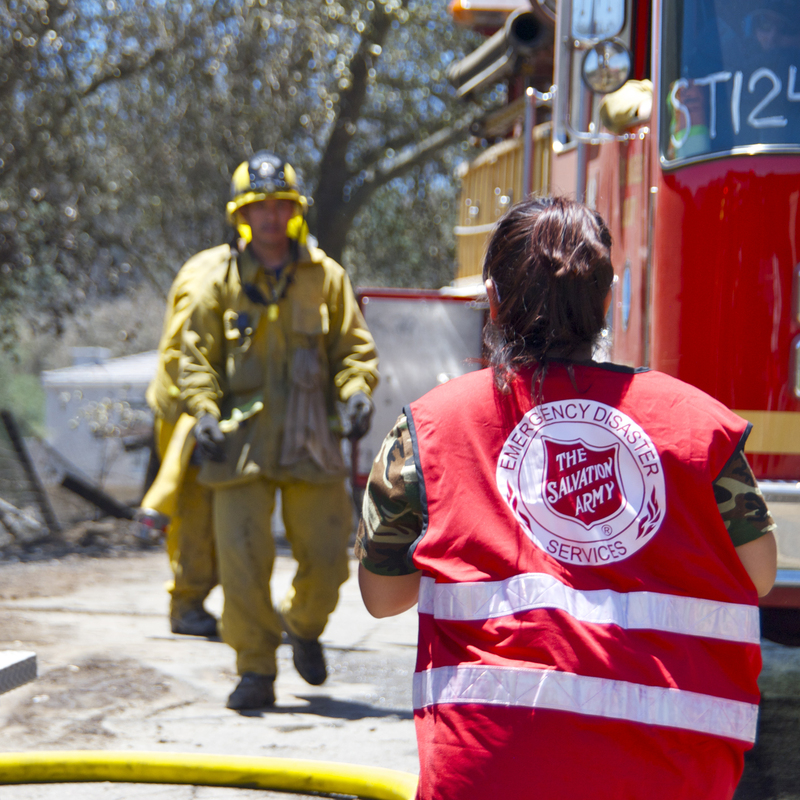 After researching organizations helping people in need, particularly after last year’s wildfires, he wanted to write and thank The Salvation Army.